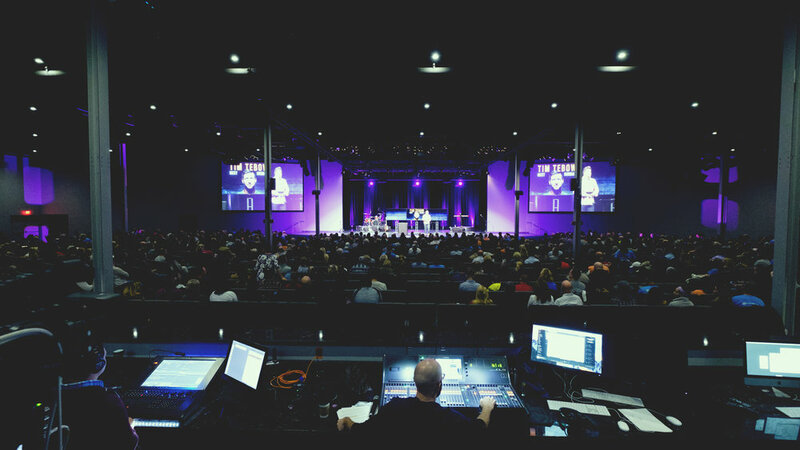 At Panavid, our highly-qualified staff works closely with House of Worship decision makers – Senior Pastors, worship leaders, youth pastors, and the operating staff; to implement or upgrade audio-visual systems that suit the unique needs of each congregation and building. In many cases, we must provide a solution that blends in with the décor. Some historic buildings require a behind-the-scenes approach where the technology is present, but hidden. In other instances, we provide state-of-the-art, highly-visible technology in ultra-modern spaces that have high levels of ambient light. Our experience with each specific case affords us the ability to achieve success in any location. To best serve our clients, we have partnered with virtually every manufacturer that exists in the professional audio-visual space to provide the best technology solutions to suit a client’s needs.